A silicate free powder which when diluted with water effectively removes grease and grime from painted surfaces to improve adhesion. 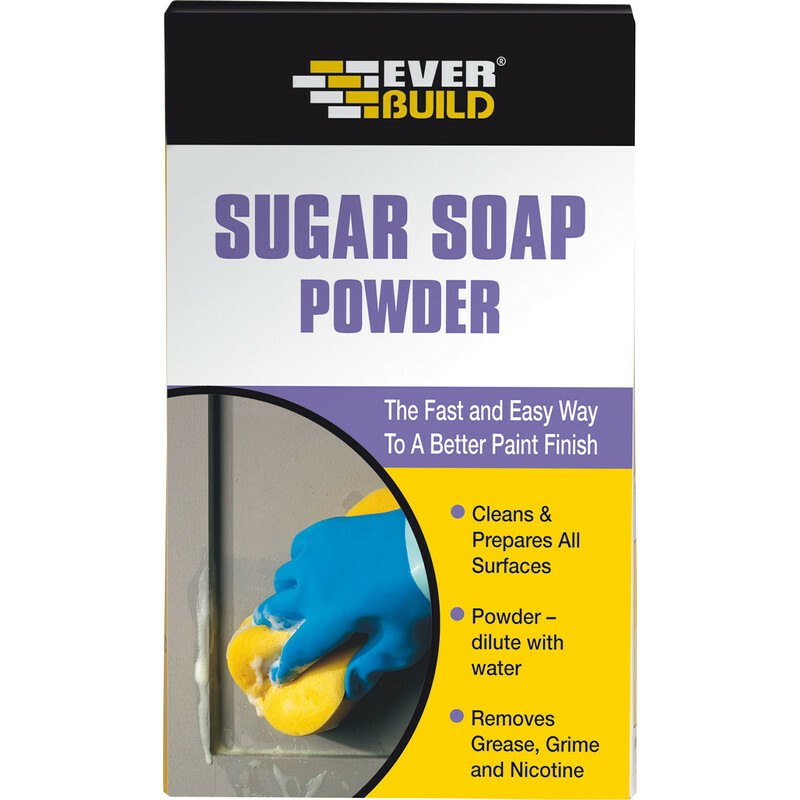 Sugar Soap Powder 430g is rated 4.9 out of 5 by 10. Rated 5 out of 5 by Alan22 from Powerful cleaner I bought this to clean off remaining paint dust from a wall after stripping the layers of paint off. I used a hot solution as they recommend, and a scrubbing brush then hosed down afterwards. I was surprised how much more loose paint came off. Rated 5 out of 5 by Toe knee from Great stuff Does what it says on the box. Rated 4 out of 5 by Dizza from Filler Good stuff, easy to apply and smooth, just remember to buy some fine sandpaper.